Some of the events we attend are annual gatherings of scholar/practitioners who gather to discuss and encounter the work of their peers. They’re often convivial and intense gatherings of concerts interspersed with papers (or vice versa). 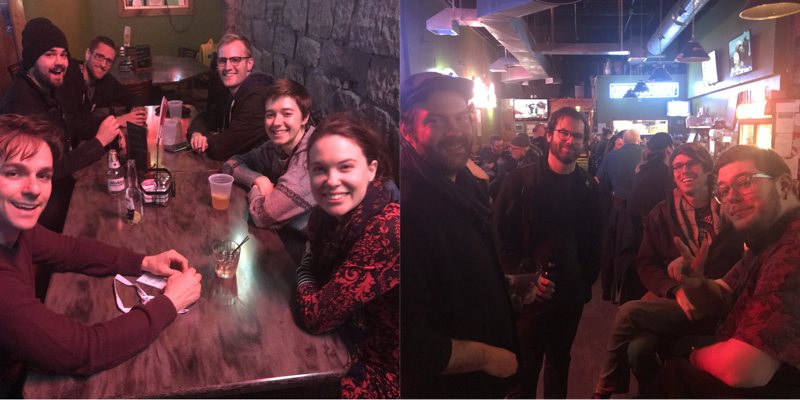 We love ‘em, look forward to ‘em, and know that there is almost no better way to combine keeping up to date with increasing the chance for the serendipitous meeting. Then, there are those interesting word-of-mouth events. You know the type: You might have seen the mention of it at the edge of the little circle of light you work in, and then – after it’s over – you start hearing from friends or acquaintances that you missed something amazing, and that thing is suddenly no longer at the edge of your little circle of light. “Next time, I’ll be there, if I can….” you promise yourself. While I love those annual scholarly gatherings, I’ve got a real place in my heart for the buzz that accompanies the word-of-mouth gathering, and I’ve been lucky enough to attend and participate in a few that have really changed my life (the legendary and much-missed Spark Festival, the Ableton Loop event and Sonic Acts) and a couple of those that I have yet to experience (Electric Spring in Huddersfield). 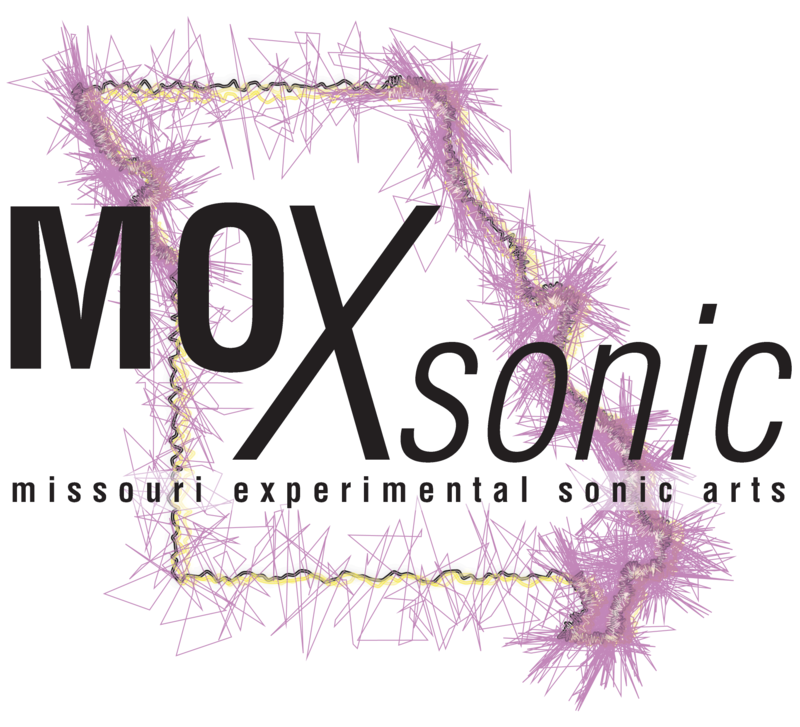 I’ve just checked one of those kinds of events off my list – MOXsonic. 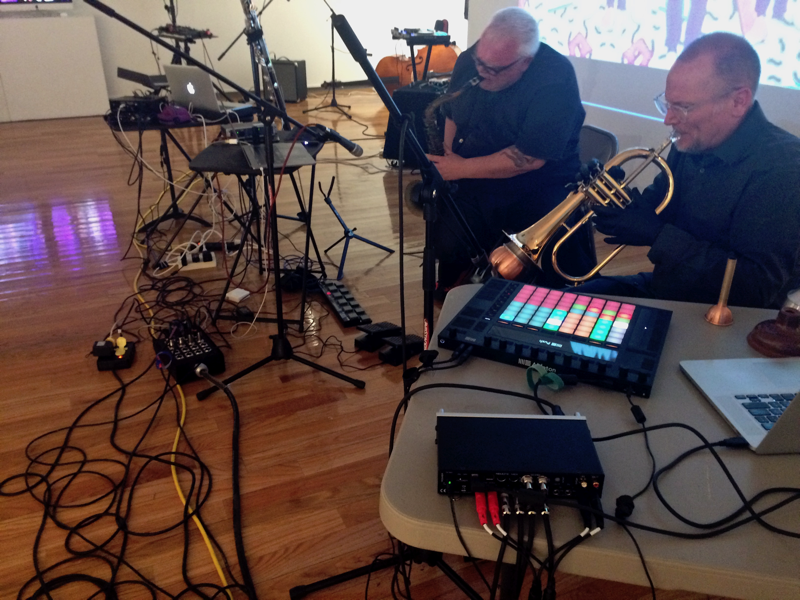 This was the second Missouri Experimental Sonic Arts Festival held. The first one showed up on my radar when my friend and colleague Andrew Pask returned from the first one raving about what a great experience it was. After I’d heard from a couple of the other attendees, I marked it on the calendar. It was everything it was described as being – a couple of days enlivened by an astounding variety of performances that were spectacularly curated and ordered/presented in such a way that I ended the first concert vowing not to look at the online program notes (yes - no trees destroyed in the name of the festival!) until after the performance so as not to spoil the surprise of what was coming next. Instead of the more usual collection of photos of people standing around and talking, this on the road is going to stick close to the action – a kind of whirlwind tour of the festival from the third row seats - right after I post these two pictures of the post-nightlife show MOXsonic crowd enjoying some libation and conversation at Old Barney's. Now that I've established the usual cheery festival vibe, let's move on to the concerts and MOXsonic events! Why was MOXsonic such a pleasurable experience? I guess that a good festival is a complex cocktail of imagination, ingredients, and execution, presented in proportion. Beyond the size and scale and the tremendous level of expertise and support on the part of the UCM Music Tech students handling the sound and stage wrangling, the amazing concert hall facility that helped everyone sound great, and the fantastic Front of House support for the nightlife shows, MOXsonic had something else special going for it: curation. Careful curation by the triumvirate of Eric Honour, Elizabeth Stimpert, and Jeff Kaiser - based on a call for submissions that stayed strongly focused on the motto “Surprise me,” – assembled a program between their three very different styles and outlooks that not only eschewed a single style or practice, but also wound up providing a widely varied program for each and every concert. The concerts were spaced so as to allow ample time for a walk into town for a bite, a little hang time, and just enough time to recover your sense of anticipation for the next round. As much as I understand the reason for maximizing the number of concerts at a conference, MOXsonic really hit the sweet spot for me. 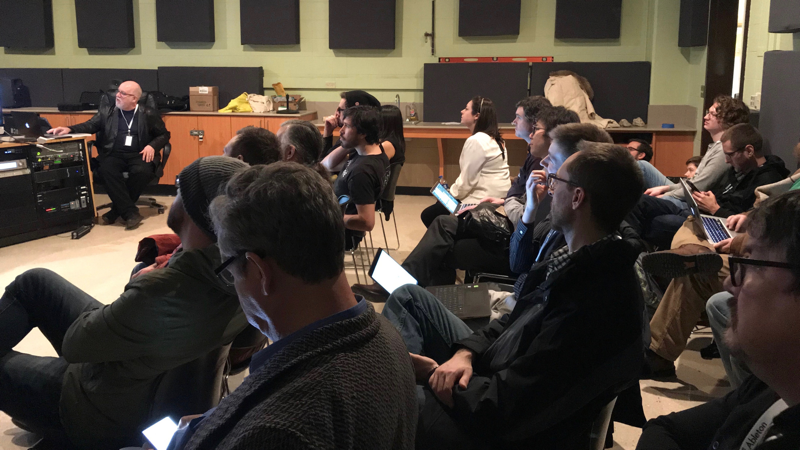 The festival’s guests this year were Shiau-uen Ding and Miller Puckette, which meant that attendees had a chance to hear a live performance of Philippe Manoury’s Pluton - the very first piece realized using Max– a really rare opportunity. Miller wasn’t able to attend at the last minute, but Barry Moon stepped into the breach to deputize for Miller minding Miller’s Pd port of the piece for the performance. 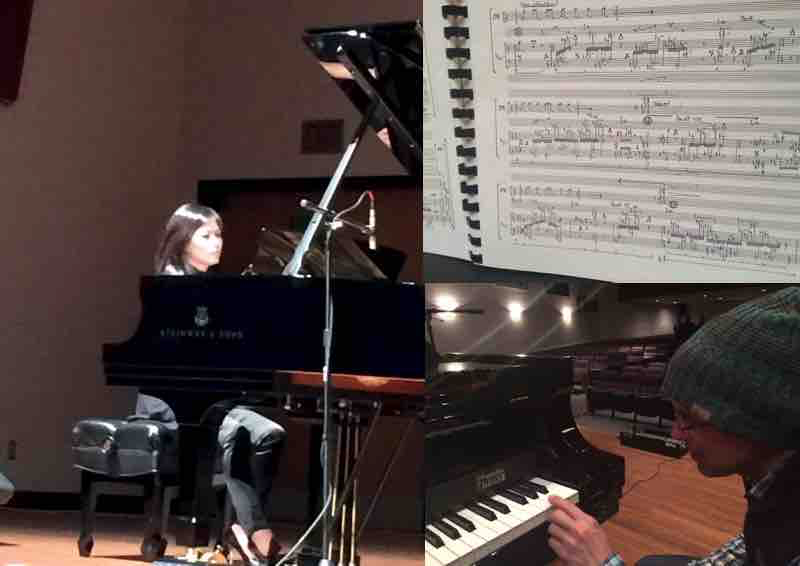 It was a fantastic performance of one of those pieces that simultaneously enervates and energizes you. It's a listen that requires your full attention over a span of time, but whose energy cannot help but lift you up. f you ever have a chance to go hear this beast live, just go. I can hear you saying (or thinking). 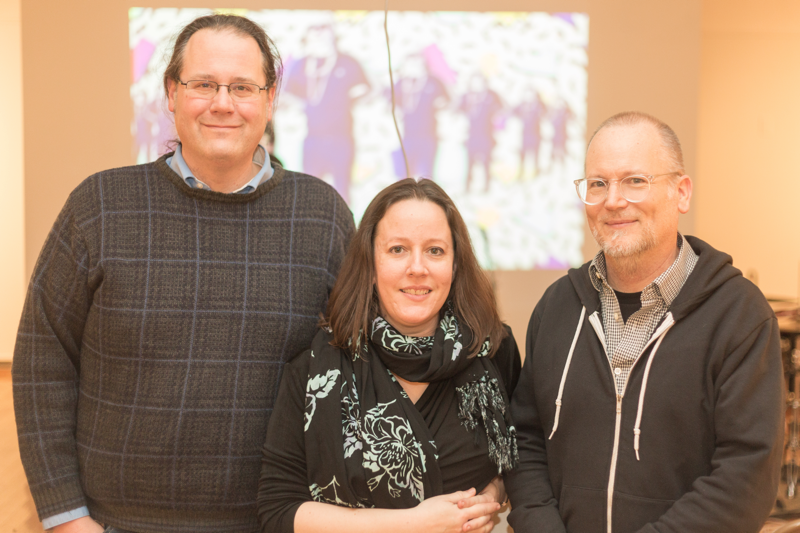 "Well, what kind of festival would it be without papers or workshops or installations? Surely they included some of that, too...."
....followed by a pair of papers on software and hardware design from MDSP's daddy Hugh Lobel and Shawn Trail (a delicious piece of Raspberry Pi). 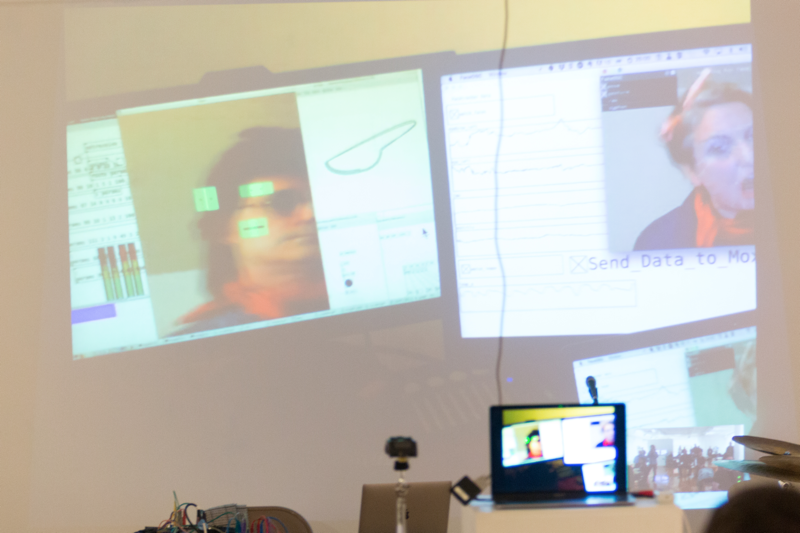 MOXsonic also included two workshop-like events, one of which was the reason I was in attendance. Following on the heels of the publication of Step By Step, I had the chance to present the book’s history as a narrative, and to provide a walkthrough of its contents and their ability to be recombined. I was happy that this meant I could attend the festival, and happier still at the amount of interest in the book. 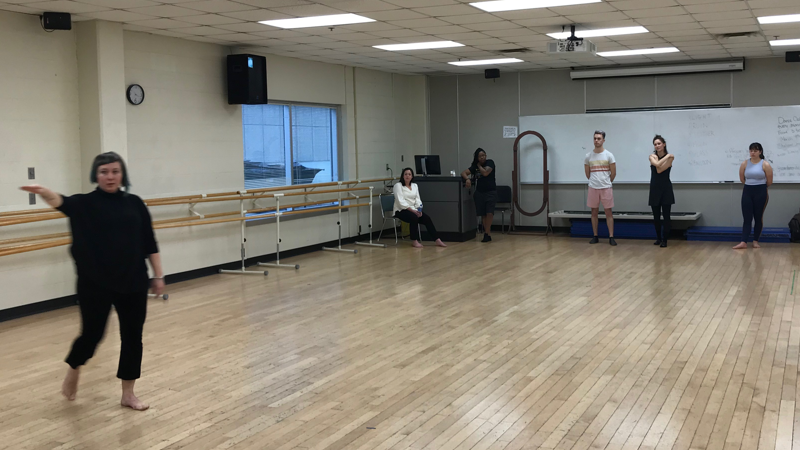 Since I was otherwise engaged, I was unable to attend Stephanie Zalatel's dance Master Class. I heard it was amazing. Sooner or later, the sun goes down and dinner's over and you wonder what to do next. As with other festivals, there was a nightlife component to every evening. Unlike other conferences, there wasn’t quite the distance in terms of style or personnel – the biggest difference was a combination of ensemble size and set length. I really liked the sense that the performances for the whole festival seemed more coherent and presented with less regard to time of day. Of course, I was stoked to see the Choir Boys reunion (Jeff Kaiser and Andrew Pask). In addition to it being a rare opportunity, I was really curious to see Jeff’s Max patches that repurposed the Ableton Push 2 in action. Their take-no-prisoners gig was also full of surprises – from the odd dive into a refracted brass chorale and a finish that included (no, I am not kidding) a Cure sample. So here's the bottom line: consider this another bit of buzz for a plucky little right-sized festival. Mark it on your calendar. If your work is accepted, go, and prepared to be surprised and delighted and challenged. Oh yeah - you're also about an hour's drive from some of the finest barbeque in the world in Kansas City (and, if you're vegan, the Cafe Gratitude, which will knock your socks off). Win-win! I'd like to thank Jeff Kaiser and Michael Bersin for providing some of these photos (and better ones than I was able to take from row three).